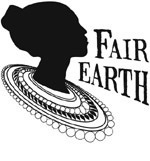 Fair Earth » Blog Archive » Fair Trade Soccer Balls? « Save the date—the 2010 Chicago Green Festival is May 22-23 at Navy Pier! This is a question I have been asked numerous times over the past several years. NO, fair trade is NOT only about coffee! As coffee was among the first fair trade certified products to be introduced to the US consumer market, it remains a highly-recognizable and popular fair trade item. HOWEVER, ANY product can be ethically produced under fair trade standards. The fair trade movement is vast and growing as more people are becoming conscious about the ethics behind the production of their products. Last week I gave a fair trade soccer ball to Valentino, a delightful boy who I support in Uganda through the FOCUS Mulago Child Project. FOCUS works with children in the Mulago and Katanga slum communities of Kampala by helping with school feels and supplementing their formal educational with training in social and emotional development, skills and vocational training, and entrepreneurial skills. As Valentino held his fair trade soccer ball with a gleaming smile on his face, I couldn’t help but focus on the word “RESPECT” printed in large letters on the front of the ball. Respect for each other, respect for Uganda, respect for the workers in Pakistan who made Valentino’s soccer ball. I told him that this was a very good soccer ball because it was fair trade – which means that the people who worked to make his ball were paid a good and fair wage, so they were also very happy. Coming from a slum community in Kampala, Valentino knew exactly what I was talking about. Daily he sees people working back-breaking hours only to bring home a few shillings which hardly put dinner on the table. He also sees the vast disparity between the rich and the poor in Kampala, and the exploitation that has developed between business owners in their comfortable offices and the manual laborers who struggle to keep their children fed. He also sees his mother trek daily to the market to buy her supply of sugar cane, tomatoes, and charcoal, and he helps her set up shop near their one-room home where they sell their goods for a small mark-up to neighbors. He has seen his mother out of desperation at the end of the day sell her goods for a lower price than what she paid for them, so that she has at least a few shillings to feed her children. He knows all-too-well the price of sweat, the cost of work, the hunger after failing to find enough customers, the reward of job well done, and also the satisfaction of dinner on the table after a profitable day’s work. I watched Valentino’s already-wide smile grow even bigger as he realized his soccer ball was also making another family happy. He had received a gift that he will enjoy, and they were enjoying the satisfaction of a good business day, and the profits of a job well done. In one brief moment, there was a direct connection between Valentino, a young boy in Kampala, and the people who made his soccer ball in Pakistan. This is one of the things that fair trade does for consumers – it puts us in direct contact with the PEOPLE who make the products we enjoy. It reconnects us with the human side of our food, our clothes, our jewelry, our sports equipment. It makes us consider the work and skills that went into the product’s production, it brings us to a new level of appreciation for craftsmanship and talent, and it plants a seed of RESPECT inside of us – a seed that continues to grow as we continue to become more connected to the people behind our products. As you go through your day today, I challenge you to be conscious about the producers behind the things you consume, touch, wear, and enjoy. Who picked the coffee beans that were brewed into your morning cup? Who designed and sewed the clothes and accessories you choose to wear? Who made the computer at your desk, what trees did the paper you use come from, who processed the raw material into paper? Whose life are you respecting (or disrespecting) by the choices you make today? I add “disrespect” because in all honestly, as many of us know, a large number of products on the market DO indeed come from a production line that disrespects their workers. Walking through a supermarket or department store, customers are often quite disconnected from the people behind the products they are browsing. We remain ignorant about whether they were made with child and sweatshop labor, unfair wages, and worker exploitation or by people paid fair wages and treated with RESPECT. We make the decision to support the wrong group because we are uninformed. But in a society of knowledge, awareness, information, and global connections, we no longer can afford to make ill-informed decisions. In a world where we have the CHOICE to purchase either from retail lines whose producers are unknown or exploitative, or to purchase from lines that put us in direct contact with producers and their stories – why would we WANT to remain ill-informed? Fair Trade products are increasingly becoming available. If you are Chicago-based, see Chicago Fair Trade for a listing of Chicago-based fair trade businesses. If fair trade products aren’t as available as you’d like, there’s a lot you can do to change that! A suggestion or a petition can go a long way. Contact your alderman, speak to the buyers for your local coffee shop, make a suggestion to your grocery mart, bring fair trade products to your workplace. See Chicago Fair Trade’s website for more resources about how to increase the availability of fair trade products. Your choices and your actions make a difference. In this new year, be mindful. Be CONSCIOUS. Make a difference that you can proudly stand behind. This entry was posted on Wednesday, January 6th, 2010 at 4:25 pm	and is filed under Fair Trade, Travel. You can follow any responses to this entry through the RSS 2.0 feed. Both comments and pings are currently closed.